Lifting and transferring products from one location to the other using machines has become a norm. With the emergence of Vertical Transfer System; lifting and moving products becomes easy. 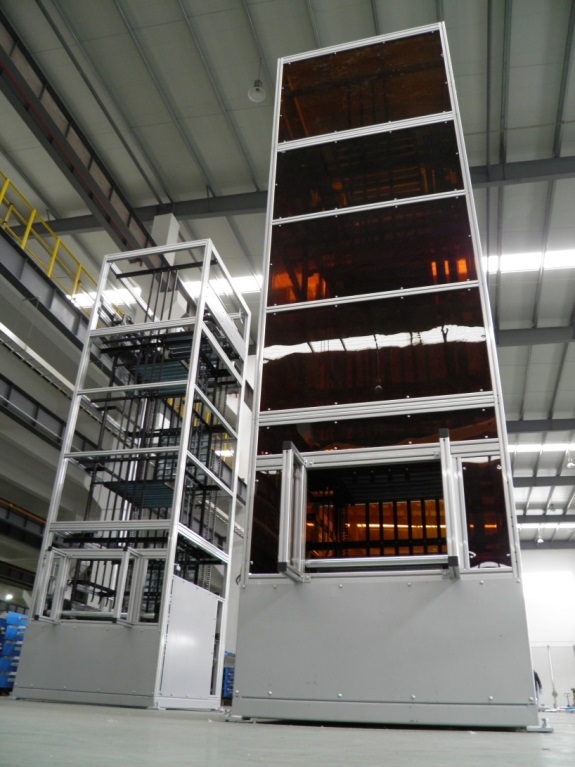 Cheng Hua have designed a close to flawless Vertical Transfer System that is able to reduce manpower needs to perform the job and at the same time saving costs for the business. One of Cheng Hua’s Vertical Transfer System is Pallet Lifter. Our Pallet Lifter is known for its robustness and low maintenance costs. Its structure is made of highly durable steel. Hence, this provides extreme stability and durability regardless of circumstances. The other Vertical Transfer System that Cheng Hua integrates is Vertilator. This Vertical Transfer System is used to transport unit loads between different levels. Our Vertilator is guaranteed to deliver highly reliable performance with high throughput of 1,200 per hour because it allows continuous transfer. This system is essential especially to the Logistics Industry and Tire Handling Industry.